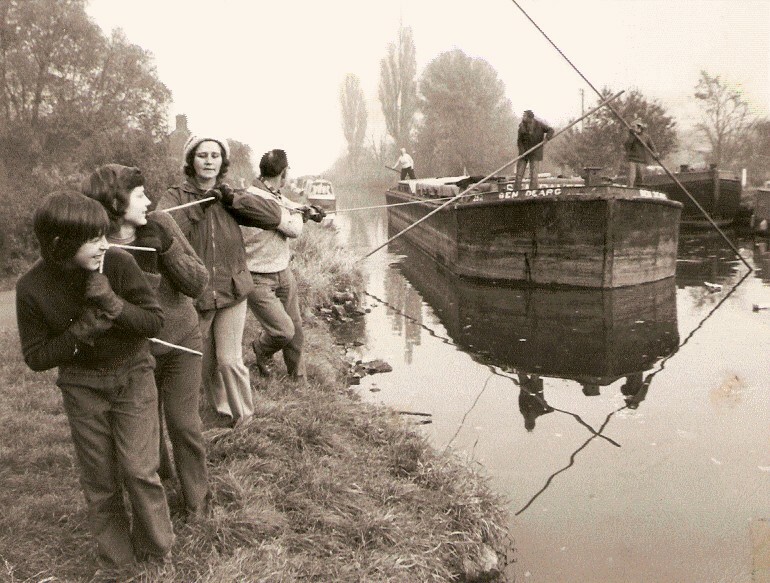 You are here: Home>Local history>Areas>Bletchley>A life on the old canal! Sea Rangers towing barge home to Fenny Stratford from Berkhamsted. 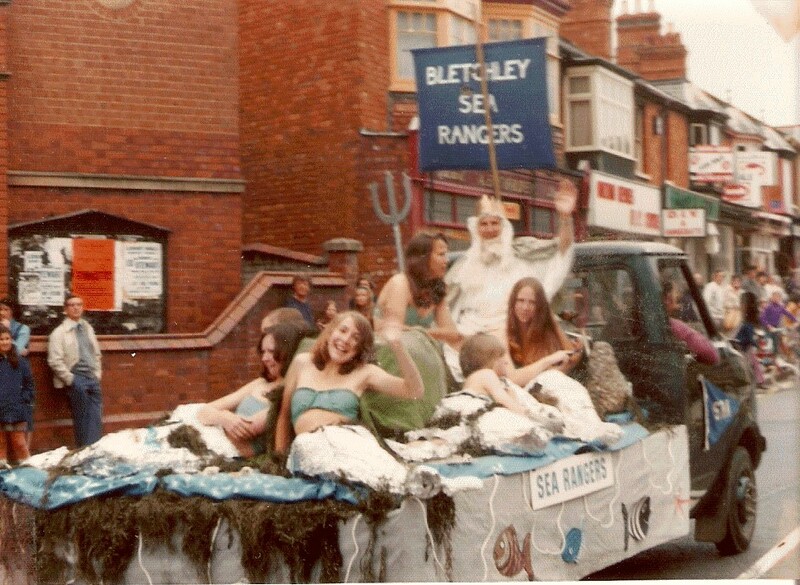 Sea Rangers float at the Bletchley Carnival, c 1972. Bletchley is probably about as landlocked as it gets but throughout the 1970s I was a member of Bletchley Sea Rangers. It won’t come as any surprise to learn we never went anywhere near ocean waves, but this was in the days before Fenny lock was redeveloped and our unit was given permission to use a small dock, opposite some empty warehouses where the Bridge Inn now stands. All we needed was somewhere to base ourselves and the answer came in the shape of a 10-ton iron barge which we could have and convert if a) we could raise a few hundred pounds to pay for it and b) we could somehow get it from the boatyard at Berkhamsted back to Bletchley. The money proved less of a challenge than the transport, which was prohibitively expensive. So being resourceful youngsters we decided we’d emulate those wonderful shire horses who used to tow loaded boats up and down the canal network, transporting goods all over the country. We did take canoes out on the canal from time to time, dressed as mermaids and paraded around the town on the back of a lorry for Bletchley Carnival, took camping trips to Brownsea Island in Dorset, and won a couple of singing competitions. Looking back I have nothing but admiration for our ‘Bosun’, Hilda Simmons, who steered many a teenage girl’s energy into usefulo pursuits as both our leader and a Guider for many years. The uniforms – real sailor smocks complete with landyards and sailor hats – were nicer than the guides’ outfits too. But I imagine the creation of Willen Lake – where I last saw Hilda and a new generation of sea rangers – came as a relief to those who thought the business of sea rangers was boating, rather than boogying on down! Hilda Simmons is my mother, currently in the residential home The Orchard, in Stewkley. She ran the Sea Ranger crew, SRS Venturous, for over 30 years and organised them to help at the annual Boat Show at Earl’s Court running the messenger service in the days before mobile phones were established as well as taking them on training weekends at Rose Cottage in Berkshire. I, too, was a Sea Ranger in the late 60’s/early seventies and really enjoyed canoe camping along the Grand Union. The initial meetings were held in a hut in Church Street, before the barge was brought up. I have passed much of the documentation regarding the crew to the Sea Ranger Association for their archives, but still have many photos to sort through if anyone is interested in getting in touch.